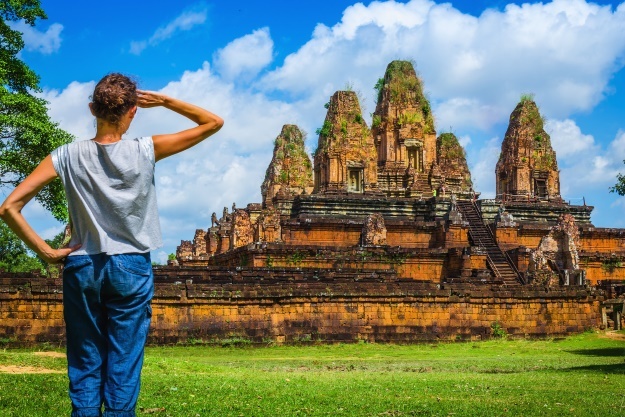 When it comes to Cambodia and really any holiday destination, there are a few things that you need to take into consideration: where should I go? When is the best time to visit? What should I wear? And what should I do? 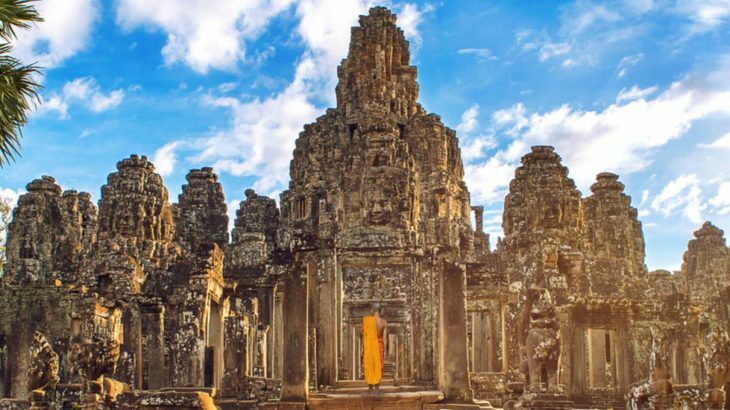 We’re here to talk you through exactly where to go for relaxation, culture and history, what to wear, what the weather is going to be like, how to be respectful at temples and religious sites and exactly when to visit Cambodia. Following the rainy season (September – early November) the temperatures rise slightly and the humidity levels are at their lowest, this also tends to be when the temples and other tourist spots are relatively quiet. But Cambodia is glorious in full-bloom. From June-August tends to be the country’s green season, where there is an abundance of fresh fruit, vegetables and greenery. If you’re looking to enjoy the beaches and stunning coastline on holiday to Cambodia then perhaps March to May is the best time for you. But others who may be looking to do a bit more exploring on a tour, might lean towards the cooler weather from November through to February. Packing can be a challenge when you have booked to go away on a holiday. You have to consider the beliefs and cultures of the local people, while ensuring that you are comfortable and protected from the weather. Avoid vests or anything that is sleeveless and will expose your shoulders, as well as any shorts or skirts that are too short. Ripped and tight trousers can also be deemed as inappropriate and too revealing. “Whilst your holiday in Cambodia will most likely be a really hot one, do make sure you pack at least one outfit suitable for temples. You will need to have your shoulders and your knees covered. Even though you will see people who disregard this requirement, it really is always a good idea to be respectful of the customs of the country you are visiting. If you are longing for the feel of sand between your toes as you relax on a gorgeous slice of coastline, then it’s Sihanoukville that you seek. Granted, the town itself may not win any beauty pageants, but its beaches have made it Cambodia’s only major beach resort since 1955. Ochheauteal is certainly the most popular beach in the area. You can spend the day relaxing in the until the sun sets, when the barbecues are lit and late-night parties begin. For a quieter time, head west to Victory Beach and Hawaii Beach. Elsewhere you can find Otres. Considered to be the best choice, it is a balance of the quieter beaches and Ochheauteal. With beach bars and restaurants lining it, you can stick to the busier stretch or walk along to find the plentiful quieter spots for a bit of respite and relaxation. Sihanoukville with its white-sand beaches, sun-kissed islands and laid-back atmosphere is a perfect destination for any weary traveller in need of a bit of r&r. Cambodia’s capital city is overlooked by those on holiday in Cambodia. Remembered most vividly for some of the darkest days in its country’s history, it is often forgotten that Phnom Penh was once the Pearl of Asia. Effortlessly it brings together its troubled past of the country with a go-getting drive, which is evident through the modern buildings popping up across the city. If you needed a visual representation of organised chaos, then Phnom Penh would do a very good job. Motorbikes, scooters and tuk-tuks zip around the lively streets, markets paint a rainbow of colour and entice you in with the smells of spices and fruits. All the while you’re overwhelmed with a sense of urgency as everyone has the get up and go attitude. There is plenty to do in Phnom Penh. 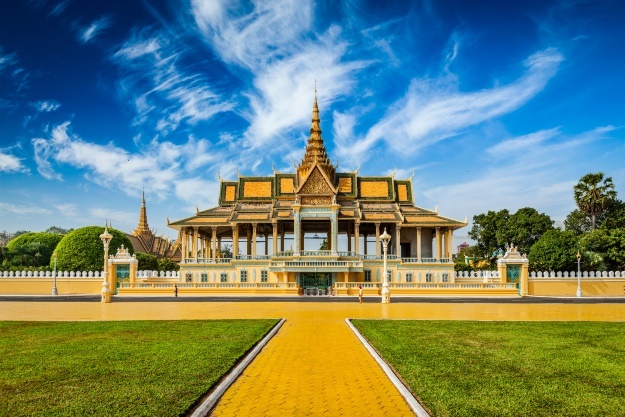 Of course, you can learn more about the hard history of Cambodia at the poignant Killing Fields, but the city today offers one of the best gastronomy scenes in South East Asia, as well as a bustling café and bar scene. Of course, you cannot visit the capital without heading to the Royal Palace. While the rest of the city has a very raw and wild feel about it. The residence for the king of Cambodia, it is as sobering as the Killing Fields, but in a much more positive way. Nothing can compete with the sight of the Palace in the skyline, and although the massive compounds are closed to the public, the Silver Pagoda is open. Also known as Wat Preah Keo, its floor is covered with five tons of silver across 5000 tiles. The lavish interior and design runs throughout, with a life-sized gold Buddha sitting with 2086 diamonds, as well as several other gold and bronze statues occupying the Pagoda. Not only is Angkor the number one attraction in Cambodia, but it is one of the most incredible places on Earth. North of the Great Lake and not far from Siem Reap, around one million people head to this part of the country each year. You can marvel at the star in its crown – Angkor Wat, or any of the one thousand plus temples and ruins that are scattered across this corner of Cambodia. The city of Angkor has a long and rich history. The Khmer Empire was a massive force in South East Asia and can be dated back to 802, when Angkor stood in the middle of the empire. Over time is grew into the largest known pre-industrial settlement, reaching 3,000 square kilometres in size – almost the size of Los Angeles. Angkor Wat is of course the star attraction. The largest religious monument in the world, it is surrounded by a large moat making the temple accessible by a causeway only. But elsewhere, we highly recommend checking out the Terrace of Elephants, The Baphuon, Temple of Bayon and Ta Prohm to name just a few. When you walk through ancient monuments and historical sites which have been lost to nature, it’s easy to forget that this really was a bustling city full of life. It would have been the hub of region, Cambodia and much of this part of Asia. The streets in Cambodia are like few others you would have experienced before. You might think the streets of London or New York are busy and loud, but they are nothing like those that you will find in the bigger cities in Cambodia. It makes walking from place-to-place a challenge, with no assistance from pavements, crossings or signals to help. 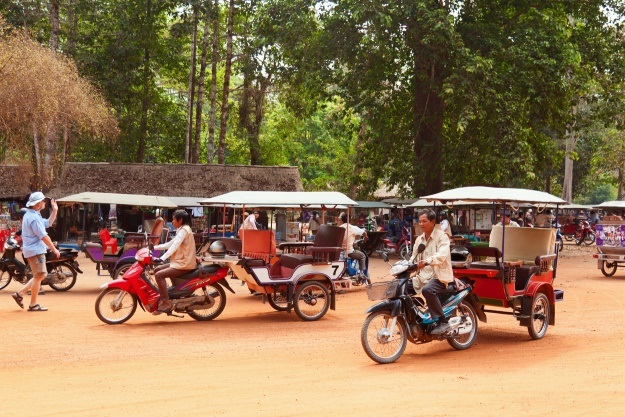 It leaves you with a few options; you can either fork out for a taxi and play it safe, hire a motorbike or scooter and have the most heart pumping journey of your life, or go for the most popular mode of transport, the tuk tuk. But if you need somewhere where you can press the pause button on life, let everything slow down and really appreciate the smaller things, then head to Kampot. Instead of the frantic streets laden with traffic and life in larger towns and cities, Kampot’s are wide and dusty with the odd scooter whirring down or a dog running across. Nothing about Kampot is false. 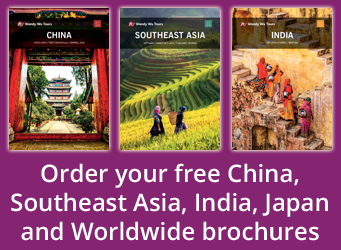 Very little is specifically tailored to the money of tourists and holiday makers. It is authentic, honest, warm and unbelievably charming. Before you may have thought that you’d like to pack it all up and move to the South of France, or the US, now, you’ll be property hunting in this province of Cambodia. A holiday is a personal experience. Some people just want to unwind and relax, others want to be on their feet exploring and having constant adventures. But whatever your choice is, ensure you respect the local people and their beliefs. Cambodia cambodia news, top things to see, tourism, weather, wendy wu tours. permalink.